The Department of Agri-Food Production Sciences and of Environment (DISPAA) was born from the Department of agricultural biotechnology which had its inception on 1 January, 2000. While therefore younger than the Faculty of Agriculture in the University of Florence, it includes research groups that are well established, with a long-standing and demonstrated research experience both in Italy and abroad. They conduct research in structural biology, biotechnology, plant pathology and entomology (in plants and foodstuffs), applied genetics, general and applied microbiology, agricultural and nutritional techniques, and the study and exploitation of genetic diversity in organisms that can be applied for practical purposes in natural plant communities. The Department has numerous highly specialised laboratories for chemical, physical and biological studies. It also has a laboratory to study the sensorial properties of foods and consumer preferences, and a laboratory of molecular plant pathology, in which host/parasite relationships are studied at molecular level. The Department also has a technological platform called Genexpress, to study genomics, post.genomics and phenomics. Genexpress is located near the Science and Tecnology Campus at Sesto Fiorentino. It possesses extensive sophisticated equipment to examine genomes, genetic transcription, structural biology and the phenotypic profiles of micro-organisms. The transfer of any practical improvements made and the capacity of researchers to interact with the various means of production is ensured by research agreements made with industrial enterprises in agriculture and nutrition and in environmentally-related activities. group is engaged in many environmental researches and projects, concerning basically soil monitoring, soil protection against desertification, and soil (or other matrixes, such as sediments) reclamation, almost all based on the interactions among soil (or sediments), plants, micro- and macrofauna (earthworm Eisenia fetida). A great experience is also on the topic of soil quality conservation and restoration usually carry out through the addition of different sources of organic matter and different types of managements. These multipurpose researches well integrate with the needs to protect soil fertility, biodiversity, desertification, soil pollution mitigation, carbon sequestration in soil, in relation to climate changes and water scarcity. recovery, and the reclamation of contaminated sediment. Established in 1996, academic activities began in the 1997/98 academic year. The Miguel Hernández University of Elche has 4 campuses (Elche, Sant Joan d’Alacant, Orihuela, and Altea) and 75 buildings whose total surface area covers 947,635 m2. Its constructed surface area is 209,876 m2. There are 16,000 full-time students and 24,500 alumni since the University’s creation. Its budget for 2014 is 87,205,585 €. 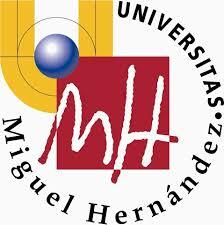 The Miguel Hernández University has 7 faculties (Faculty of Fine Arts, Faculty of Experimental Sciences, Faculty of Social and Legal Sciences of Elche, Faculty of Social and Legal Sciences of Orihuela, Faculty of Health and Social Sciences, Faculty of Pharmacy and Faculty of Medicine) and 2 schools (School of Engineering of Elche and School of Engineering of Orihuela). Regarding academics, the Miguel Hernández University of Elche offers 24 bachelor’s degrees, 50 master’s degrees and 16 doctoral programs. Annual tuition varies between 978,60 € (experimentality level 1 degrees) and 1493,40 € (experimentality level 5 degrees). From 1953 to today Zelari Plants has distinguished itself for its genuine desire to grow up, affirming its corporate capacity. The operational synergy with the other companies of the group Zelari resulted in a prominent position in the current landscape of a city like Pistoia that, rightly, is considered the “capital of green” even beyond national borders. Oldest among the group companies, “Zelari plants” uses the most advanced technologies for the cultivation of plants to new types and varieties, pointing to the use of the product as well as an element of living and vital presence in the area, as well as the subject an art, that of the gardener, who has the distinction of assign to the nature of the role. Over the years, commercial development in Europe has never been arrested until export each year 1,000,000 plants in 16 European countries. These results are obtained with a large capacity management, but especially with a feature that this company has been handed down from generation to generation: the passion for green. We are a multidisciplinary company. The business lines of Caliplant have emerged based on a single objective: customer satisfaction. NURSERY: We specialize in breeding, production and marketing of citrus, pomegranate, fruit trees, olive trees, vines and ornamental. INNOVATION: In order to offer the best quality as we use highly advanced hydroponics with coconut fiber techniques. 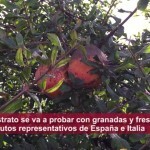 In addition, we have specialized in the research, development and registration of new plant varieties. SUPPLIES AND SUPPLIES: We offer products of the highest quality at very competitive prices. If the customer has the best materials, the probability of success is much greater. GLOBAL ASSESSMENT: We are a team of experts in different fields, allowing us to offer advice throughout the agricultural production cycle: design plantings, varietal advice, facilities optimization, optimization of land, irrigation, plant health, international markets, etc. We specialize in fruit and vegetable cultivation, hydroponics, nurseries, citrus and pomegranate.